The Lazy Dog Inn is connected with the landscapes and people of this high country treasure. Below you can explore what helps us stay authentic and what makes us unique or contact us directly by pushing the button below. All of our buildings were built by hand with the help of the local indigenous communities, with local materials such as adobe. 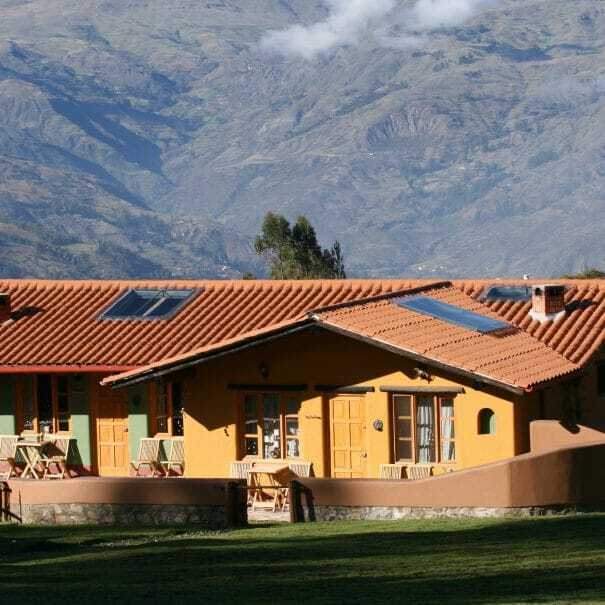 The adobe materials have all been harvested on-site, with each brick baked in our pastures under the Andean sun. 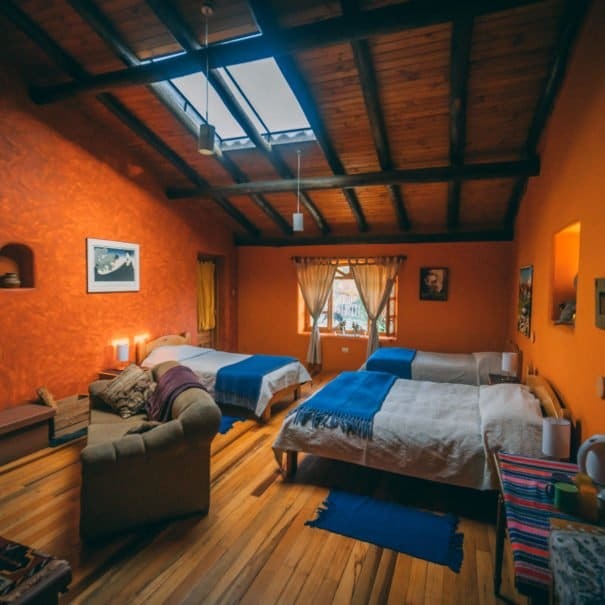 Our passive solar designs used in conjunction with Adobe, which is a natural thermal regulator, gives our rooms plenty of warmth of natural light. Each bathroom is equipped with a dry-compost toilet to help us breakdown and recycle all of our wastes. Working on a closed-loop system we’ve integrated the waste from the dry-compost toilet with kitchen compost and grey water to fertilize the soils in our horse pastures, grow our firewood, water our pastures, and grow healthy worm gardens to help fertilize and breakdown wastes. We believe in clean, organic food, and we live these beliefs implementing organic farming techniques in each of our 7-on-site greenhouses and 4-gardens. Each meal we offer includes fresh produce from our on-site greenhouses and gardens, leaving a minimal carbon footprint and ultimate health benefits for each guest. 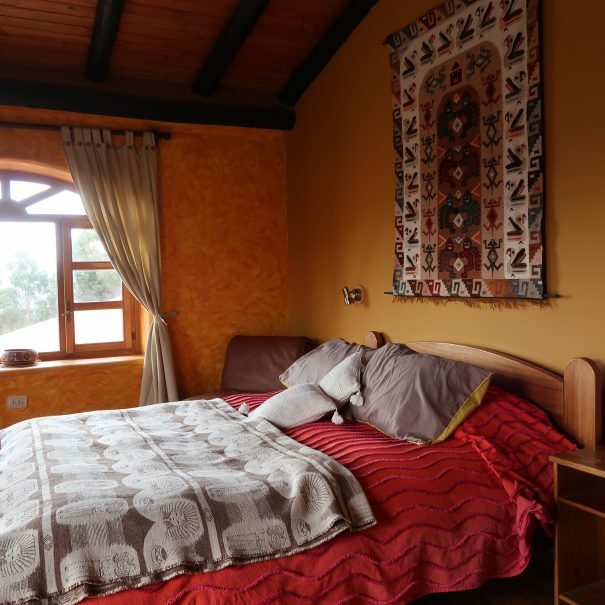 Located right on the border of Huascaran National Park take advantage of front-door access to world class trails and climbing without additional vehicle support. We are directly affiliated with the local NGO Andean Alliance, a grass-roots organization promoting local health and education initiatives. Each stay here not only directly supports employment for the local indigenous population but indirectly supports the affiliated NGO. Our community involvement allows for authentic interaction, lunches in local homes, and home stays. With miles of desolate country roads and trails, we are a trail riders paradise for exploring the local terrain on horse. We provide each guest the opportunity gets to know their horse before their ride to provide the best experience for horse and rider. 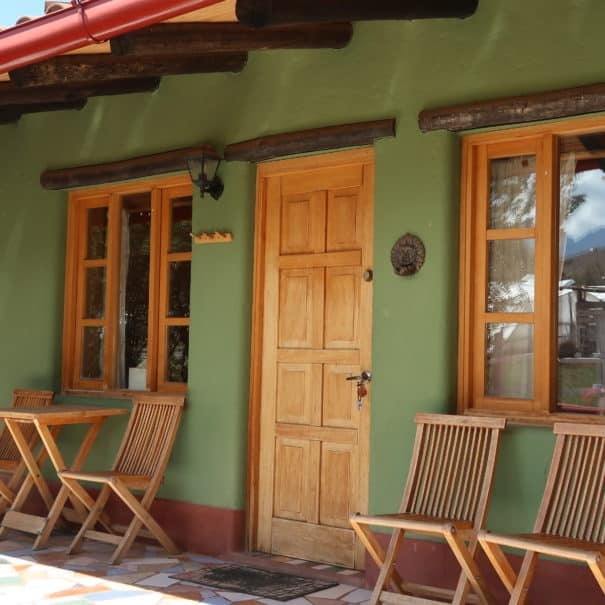 Spacious accommodations, fresh home cooked meals, hot baths or showers, fireplaces, private terraces, access to our sauna, free WiFi, and stunning vistas with exceptional access to the numerous activities the Cordillera Blanca Mountains and region have to offer. 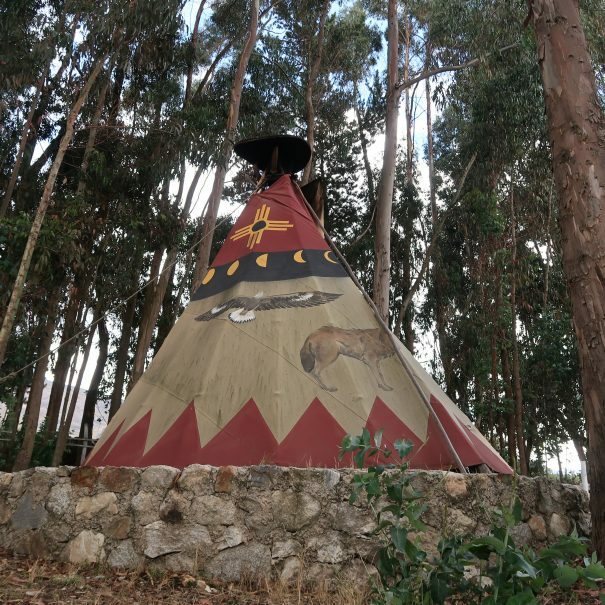 We offer Suites (Condor, Cashan), Cabins (Rima Rima, Cojup), an affordable Guestroom (Ranrapalca), and even the opportunity to sleep in a Luxury Tipi Camping. 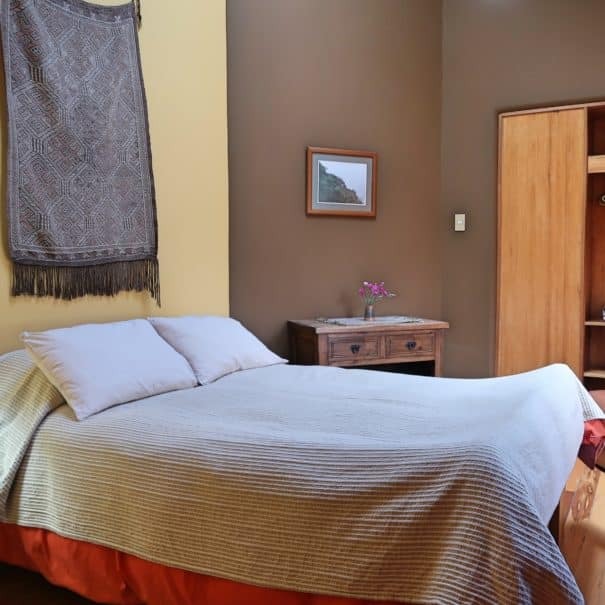 The price for our Suites, Cabins and Guestroom includes fresh home-made meals (breakfast and dinner) using locally sourced ingredients and including many vegetables that come from our 7 greenhouses.